Vanderbilt head basketball coach Kevin Stallings is on the move, reportedly accepting a six-year deal to be the new head coach of the Pitt Panthers. Stallings has been a mainstay in Vanderbilt’s basketball program, leading the Vols’ in-state rival since the 1999 season. He was a respectable 332-220 overall record, but has been largely symbolic of mediocracy with a 138-142 record in conference play. 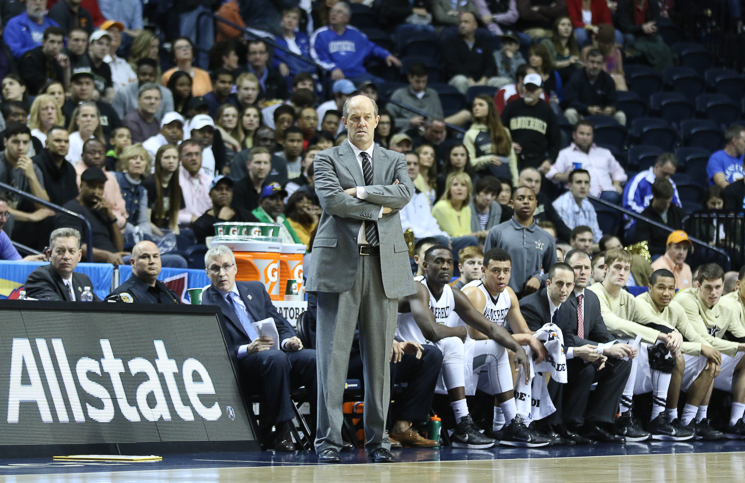 The Commodores went to the NCAA tournament seven times in 17 season under Stallings. They advanced to the Sweet 16 twice (2004, 2007) during that time span. Stallings was 15-20 against the Vols during his tenure, with his final matchup, a second-round SEC tournament loss to an undermanned Tennessee squad becoming largely symbolic of the struggle to get over the hump under Stallings. From Tennessee’s perspective, this will be a big hire as the Vols look to re-establish their program under Rick Barnes in the coming years. A weaker Vanderbilt program certainly would aid in that effort. The right hire, however, could make life more difficult for the Vols.